Cinnabon died for our sins. On Tuesday, the gooey dessert chain was the focus of intense internet backlash after it posted a tribute to the late actress Carrie Fisher, who had passed away earlier in the day. Cinnabon’s decision to repost an old photo in which its cinnamon rolls stood in for Princess Leia’s iconic buns on top of a portrait drawn in cinnamon was considered a moral outrage by fans and commentators. 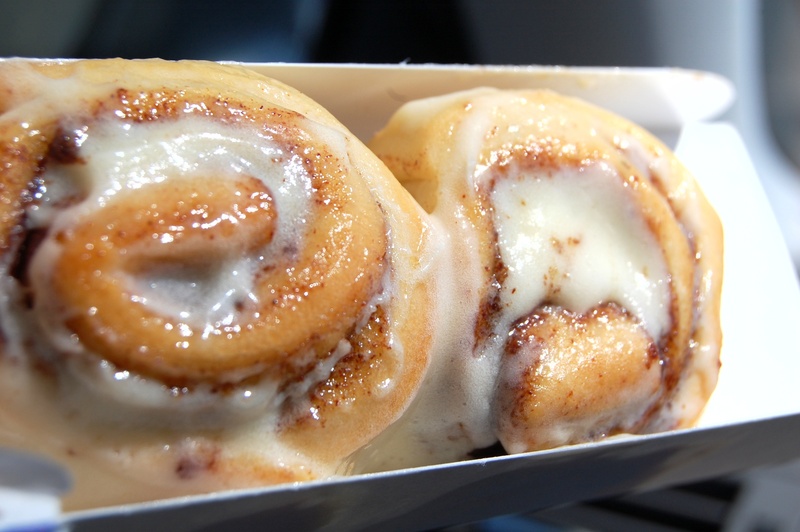 After several hours, Cinnabon deleted the tweet, and replaced it with an apology. The Dark Side had been defeated, it seemed, and people could go back to quietly appropriating Fisher’s image as they saw fit, without feeling any guilt. As a child of Hollywood, a celebrity in her own right, and the actress who played one of the most enduring movie characters of all time, Fisher spent her entire life being treated like public property. That she wound up so self-possessed and in control of her public persona and personal identity was remarkable. It was more impressive when you consider that, legally speaking, she had almost no control over her own likeness. Before Star Wars, movie-related merchandise was largely an ancillary industry, unless your name was Mickey Mouse. So Fisher, just 19 and freshly cast as Leia, signed away her cut of licensing revenue to George Lucas, whose current net worth is estimated at over $5 billion. In her stage show, Wishful Drinking, Fisher trotted a small selection of the products that continued the decades of legalized robbery, including Pez dispensers and anatomically correct “slave Leia” figurines. Fisher in particular was victimized by this bum deal, given the iconic looks she sported throughout the series. And most Star Wars fans, many of whom lionized her, never gave much thought to her lack of agency. Fisher did, but retained her sanity in the face of that misfortune by laughing at the commercialization of likeness, which was only renewed by last year’s The Force Awakens. Between her multiple marriages, substance abuse problems, and willingness to talk about all the other dramas in her life, Fisher was a tabloid fixture. And anyone who has ever written about Star Wars, or chosen a photo of Princess Leia to post on the internet, also participated in her exploitation. Some less journalistically inclined outlets have made a cottage industry of selling unauthorized books and publishing clickbait slideshows filled with her image, deriving real profits without any sort of permission. Thid brings us back to Cinnabon, which sought to create publicity using Fisher’s image without paying her. Some tweets suggested that the chain had appropriated her image without her consent, but as we’ve seen, many others are guilty of doing the same thing, and far worse. This isn’t to say that Cinnabon’s tweet was particularly tasteful, or that any random brand should try to force its way into a conversation using an image of a dead celebrity. But the outrage against Cinnabon in particular seems to come from a sense of elitism; Cinnabon is considered a cheap middle-American extravagancy, and Twitter outrage is often driven by people who would never unironically dig into a gooey brick of sugar in a mall food court. Maybe if Louis C.K. had nicer things to say about them, people wouldn’t be so troubled by it. And yet, Americans have spent four decades commoditizing and commercializing Carrie Fisher, and lashing out against a dessert store for doing so in such a minimal way smacks of hypocrisy. Cinnabon, unlike the countless other companies and publishers who have appropriated Fisher’s image, didn’t stand to make any money off of the tweet (unless you can cash in on retweets, in which case, please email me with instructions). The internet has made all of us culpable for the way that people are exploited. Cinnabon was the symptom, not the root cause.